I planted all the seeds I received from the HPS in cells outside. Many of them just looked like dust so I wasn't too hopeful anything would grow. Nothing happened for a long time, but there are now three of these which have appeared in the section for the Potentilla delphinensis. 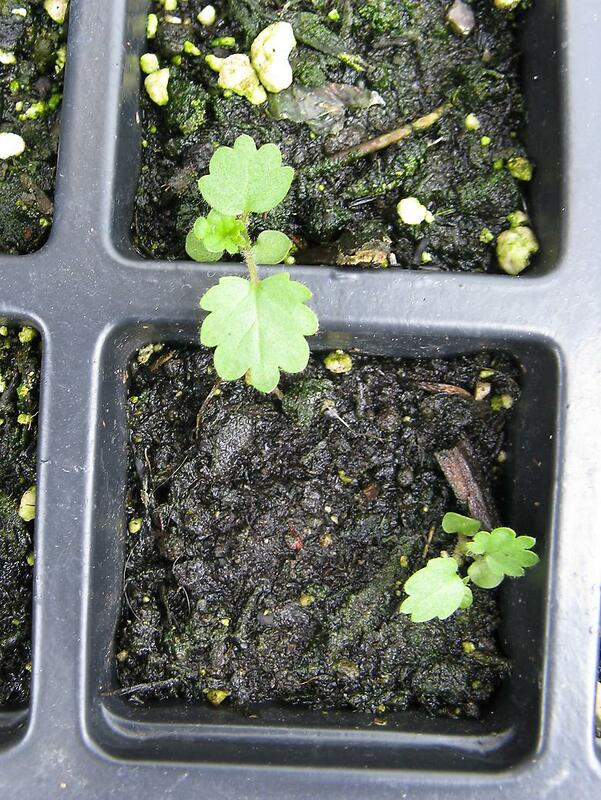 The leaves don't look like a Potentilla, but I searched 'potentilla seedlings' and I am somewhat confident that they are, but we shall see. There are a variety of other things growing, but I believe they are all weeds as they are growing elsewhere too, although I have not identified what kind of weed they all are yet.